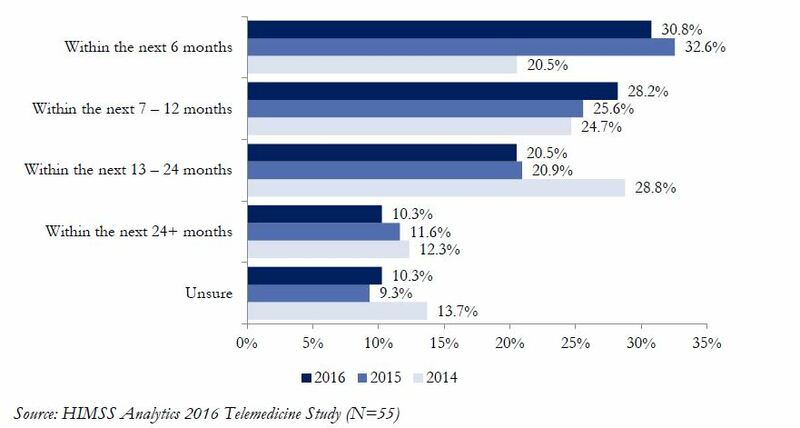 Roughly 61% of health systems have adopted some sort of telehealth in 2016, up 3.5% from 2015, according to the new HIMSS Analytics 2016 Telemedicine Study. The study surveyed 243 healthcare IT leaders in the U.S. and the overwhelming consensus was that telehealth is becoming more and more popular. So, why are health systems adopting telehealth more and more? The steady increase in adoption year-over-year demonstrates how essential telehealth is becoming to health systems. According to the same HIMSS study, the largest driving factor behind telehealth adoption in health systems continues to be filling gaps in patient care. Interestingly, health systems are also adopting telehealth to provide services that are otherwise not available—this has been the key driver to growth each year since 2014. This is especially important when on-site physicians need to connect with specialists who may not be available on-site. At American Well, we have developed a product specifically for this type of provider-to-provider interaction called the Telemed Tablet. Health Systems are also using two-way video telehealth more for provider-to-provider communications than for provider-to-patient interactions. According to the HIMSS Analytics survey, 43% of respondents use two-way video for provider-to-provider visits, while 38% use it to for provider-to-patient encounters. What’s even more interesting is that almost all these interactions are happening via desktops, while video visits via mobile and tablet platforms still remain relatively limited. These four drivers are not only causing health systems to adopt telehealth, but motivating health systems that already use telehealth to invest further. According to the study, 25% of respondents who have not yet invested in telehealth plan to do so within the next two years, while 26% of those who already have some sort of telehealth service in place plan to invest further in the same time period. Of those organizations that plan to invest in telehealth, 60% plan to do so within the next 12 months. While it comes as no surprise that telehealth services are on the rise with health systems, the HIMSS Analytics study shines a light on what is driving this adoption, and how health systems plan on using it now and in the future.